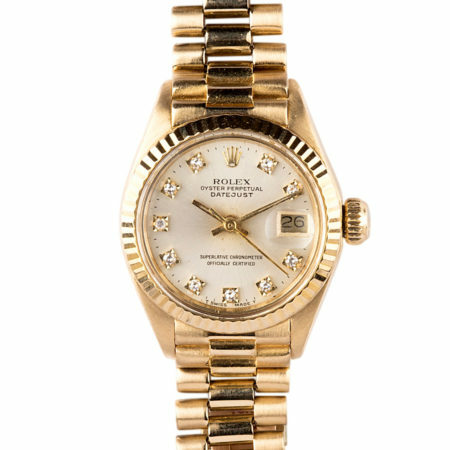 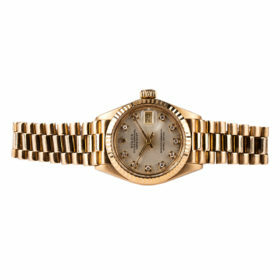 A classic Rolex model, this Lady- Datejust Oyster Perpetual is expertly crafted in 18K yellow gold. 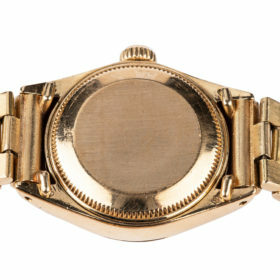 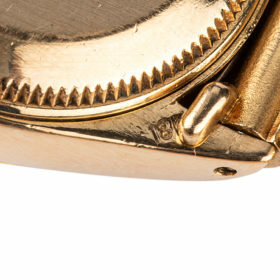 The watch face features an elegant yellow gold champagne dial, and a fluted bezel. 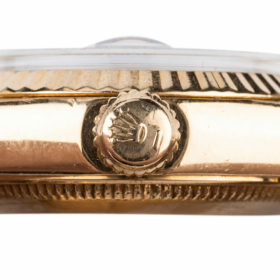 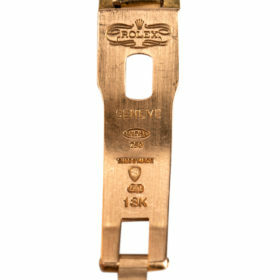 Diamond markers beautifully accent the face, with cyclops lens over the date.